The DIY-wedding trend in Miami, Florida, has sufficed its phenomenal grace over the years, and has allowed weddings to be more personalized than ever. There are quite a few things such as wedding favors and invites that you could definitely plan out with your friends and design them the way you wish to. 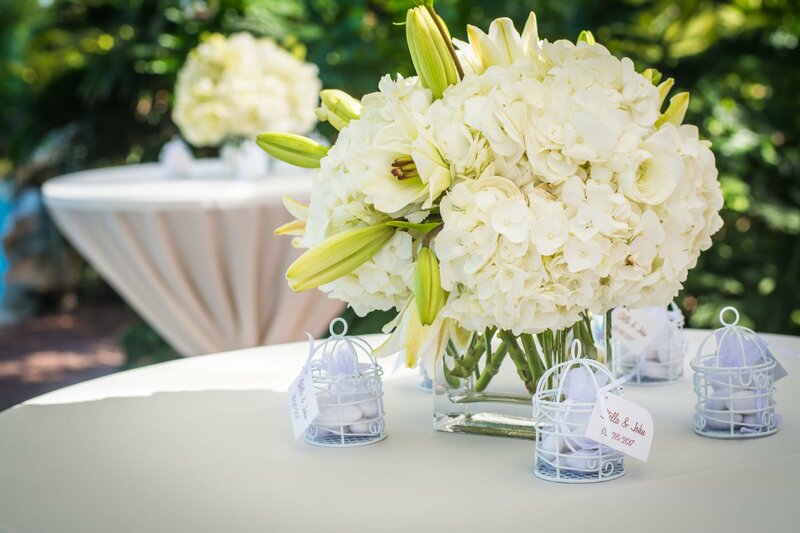 Your party favors could always comprise of a sentimental item that you’d want people to cherish your wedding by. Designing your wedding day invitations and save-the-dates too, can be fun and exciting by playing around with Photoshop, fabric and paper materials to give them a more personalized touch. You can fuse the cards with your favorite movie lines or take glimpses from your scrapbooked journals and photos for inspiration to create a livelier look with the ‘You’ factor. Sure, DIY weddings do have a special place, but that doesn’t mean that you wouldn’t need the help of professionals as well. Before you know it, you’d be stressed out and scurrying all over the place after everybody if the wedding’s décor didn’t turn out the way you had wanted it to be. You’d turn cranky, and not to mention, bossy, and your image and expectation of a relaxed wedding day would turn out to be a complete disaster. Wedding planners are professionals who know their way around the business. They not only have set partnerships with wedding venues but also vendors. These deals with enable you as a client to save some extra cash on items such as flowers, food, cakes, etc. Same goes for your venue. If the venue has deals set with certain vendors, then again, you will save money. If you opt to buy all these items on your own then we can almost guarantee you will be spending a lot more as DIYs tend to normally go over budget. A wedding planner will help you stay well within your set budget, give you great advice, and let you enjoy your day to the full. A DIY wedding requires time and effort, which inadvertently leads to some unnecessary stress. Unless you plan on quitting your job and dedicating all your time to wedding planning, then opt for such a challenge. If you plan on keeping your job, then stop right here. Think about it. Is all the stress really worth the minimal amount of money you will be saving? Weddings are supposed to be enjoyed, celebrated, and commemorated as the happiest and most romantic day of your life. No one wishes to be stressed out of their minds and in the end not enjoy the most important day of their lives. Trust us, it is not worth it. Let a professional handle this for you. Perhaps one of the most relieving aspects of a wedding ceremony is being aware of the fact that you don’t have to decorate the wedding venue. While DIY weddings may be fun to plan and design, when it comes down to the actual labor, you will struggle if you don’t have on-hands help available at all times. Let the professionals handle all of it while you sit back and relax on the most important day of your life. If you do not wish to hand over all the duties to the professionals and wish to assign some tasks for yourself to add a personal touch, then we suggest choosing your tasks wisely. Keep the less demanding tasks for you and your family and friends such as wedding invites, wedding signboards, party favors, etc. Steer clear of any major duties such as table centerpieces, catering, hair, makeup, cake, wedding day coordination, etc. One little glitch and your entire celebration is ruined. Only take upon yourself as much as you can handle. As a couple promising to commit their lives to one another for eternity, you already have a lot going on for you. Weddings can get extremely emotional and overwhelming. The last thing you want at that point is the responsibility of planning your entire wedding unless you are looking to trigger some petty fights and uncalled for meltdowns. Just a heads up if you are planning on having your wedding in beautiful Miami, Miami’s heat and unpredictable weather are notorious for all the right reasons. For your perfect wedding, always keep the weather in mind. Avoid the hot and humid summer months because no one wants to be sweating buckets on their big day. Always have a backup plan ready in case of unfortunate weather conditions. Your best bet is seeking help from local wedding planning professionals because they have been through it all. They will help you every step of the way and make sure your big day goes as effortlessly and flawlessly as you imagined. Plan your dream wedding day and let the professionals bring your vision to life as you celebrate the most important day of your life.